As someone who suffered from onset acne later in life (age 26) and continued to have bouts with hormonal acne, I was really interested in trying a product that promised to help alleviate some of my acne but do so in a way that wouldn’t introduce many toxins into my body. Kamedis skincare is made from natural botanicals used in traditional Chinese medicine. The ingredients used to create these products are said to have been used for their therapeutic properties for hundreds of years. Kamedis’ founder brought both Western and Eastern medicine together in the form of a natural line of skincare for those of us that suffer from things like Acne, Eczema, and Dandruff. Kamedis was kind enough to send me their Acne Kit which contains Acne Face Cleanser, a spot treatment lotion, and a moisturizer. I also received the calming lotion from their Eczema line. The face cleanser is a light creamy gel that gently cleans acne-prone skin without drying, using an oil-free formula. I found the consistency to be similar to Cetaphil however it contains a very faint cucumber melon scent. I think this is a nice touch. I personally don’t want to be overwhelmed by fragrance because that means there are added chemicals within the product. 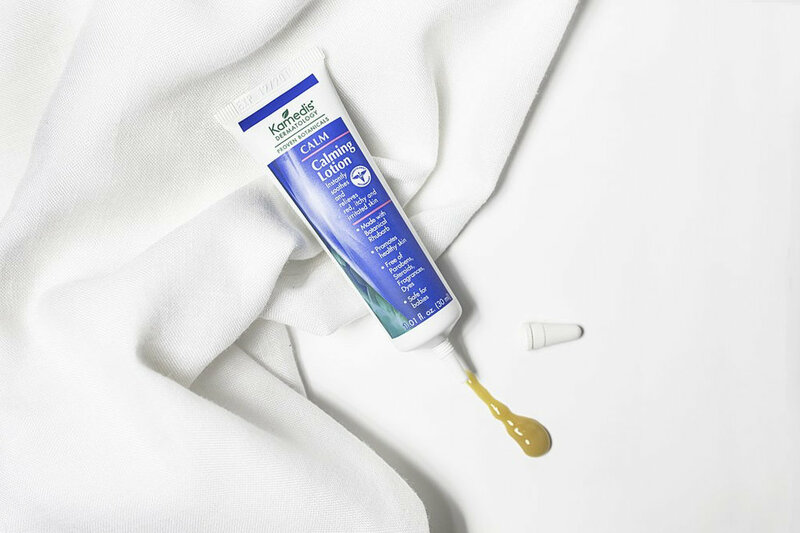 Additionally, the cleanser contains a small amount, 1%, of salicylic acid to combat those acne flare ups which also prevents it from being too drying. Typically over the counter or prescription medications are upwards of 2%. This lotion is clinically proven to deliver clearer skin and reduce pimples in just 12 hours. In using the product I found that it did reduce the appearance of those cystic pimples that I knew were brewing under my skin waiting to come out. Lastly, the Acne Face Moisturizer promises to balance sebum production, clear up oily skin and acne while preventing their recurrence. Although you might feel like you don’t want to moisturize when you suffer from acne, it’s incredibly important to do so. By not moisturizing, you create an environment where your skin overproduces oil or sebum to compensate. Having a moisturizer with acne treatment to apply after cleansing that will stay on your skin all day was great. I felt confident that I was working on reducing my throughout the day as well as providing the moisture the rest of my skins needs. I opted to alternate between the moisturizer and the calming lotion from the Eczema line to soothe my skin and prevent any dryness from salicylic acid. My face can be rather irritated during times of acne flares so the cooling lotion was incredibly helpful to relieve some of the persistent redness. The lotion does have a slight tint to it due to the herbs in the product however it does not leave any color on your face. All of the products are free of benzoyl peroxide, sodium lauryl sulfate (SLS), parabens, steroids, dyes, coal tar, or any unnecessary additives. These products have also undergone clinical testing in accordance with the Good Clinical Practice initiative which is an international quality standard. For anyone looking for a more natural solution that doesn’t cost a fortune, try Kamedis products! Roni Kramer, the founder, spent years researching all across the world to create the best products. I've been impressed with how my skin has felt and looked while using the line, and of course, the fact that my skin stayed more matte throughout the day definitely helped in the summer heat! This post was sponsored by Kamedis Skincare. JUGS only accepts sponsorships from mission-aligned brands that meet our core values of compassion + fulfillment. Julia Blanchard is a content contributor for JUGs by night, by day she works at Amazon on some of Alexa’s feature expansion programs. You can follow her @jcblanchard6 on Instagram.